It’s so easy to fake it online. You want a hundred thousand Twitter followers? You can buy them. You want to look like a Facebook star? 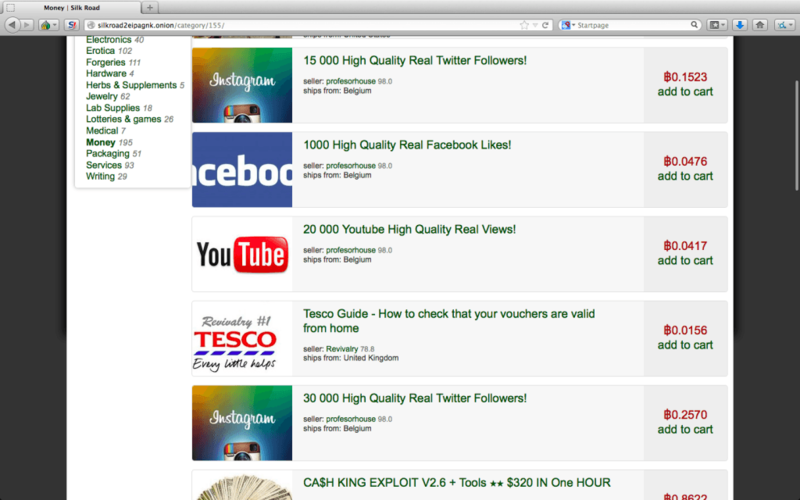 Countless purveyors will fill your company’s fan page with adoring (albeit fake) acolytes. But puffed up social campaigns come at a pretty high price, especially when it comes to advertising and lead generation. You may appear to have a brand army of a few hundred thousand, but you’ve painted yourself into an advertising corner, paying for all those fake impressions in your social ad campaign. You’re shooting yourself in the digital foot. Numbers matter, but not in the way you might think. Facebook, and increasingly, Twitter, offer remarkably granular views of your audience. These days, marketers are looking to power data-driven campaigns with analytics to better understand and sell to the consumer. But suppose those numbers include ten to thirty percent fakes? Advertising online, whether it’s social, display, search or native, is fraught with fraud. You don’t need to dig too deeply to discover a world of pay-to-click jobs, in which human drones spend their days like lab animals, finding and clicking on banner ads for a few cents apiece. Nice work, and you can get it anytime. Some hackers opt for automation in the form of botnets, and with the rise of programmatic advertising, there’s no one minding the shop. The same goes for lead forms. Without verification, there’s no way of knowing that your lead is legit. It could be filled out by robots, or it could be a guy at his kitchen table getting paid per lead. Advertisers pay for clicks, impressions and sales leads, often without knowledge of the legitimacy or true intent of visitors. It doesn’t have to be that way. There are tools to verify the legitimacy of every click and lead. By examining IP address and behavior across channels and devices, it’s not only possible, but verging on mandatory, to take advantage of a neutral customer acquisition intelligence platform. These days, nearly 98 percent of all online educational leads are using certification and measurement tools that weed out underperforming sales leads. To understand the power of customer acquisition intelligence, take the example of a leading national medical academy. Over a two month period in early 2014, the school fielded over 77 thousand leads from nearly 40 providers. About 4 percent of those leads enrolled in the school, and about one percent actually started classes. 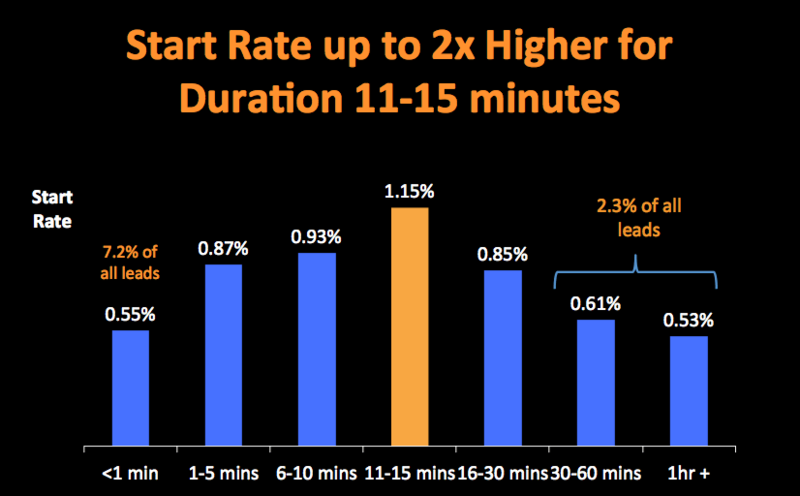 A look at underperforming leads tells a familiar story, backed up by data. 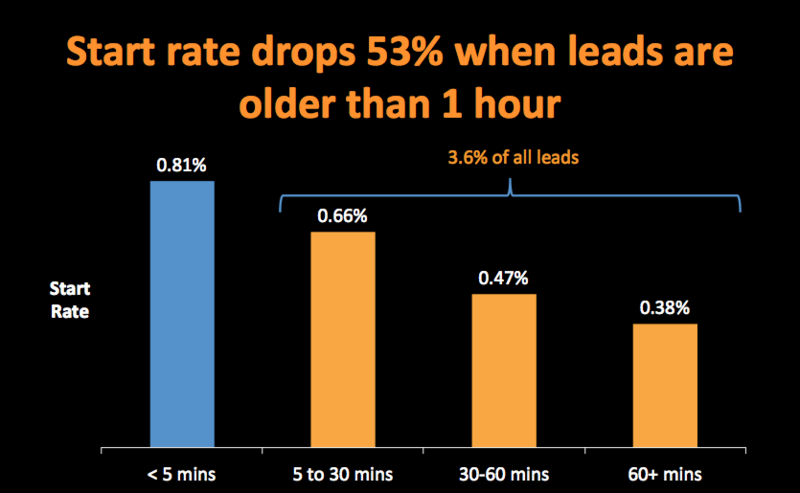 With an understanding of the true age of leads, it’s now possible to see that prospects go stale pretty quickly. After 5 minutes, performance begins to steadily erode. Another key to sales success for the medical academy is the actual time it takes a prospect to fill out a lead form. Too brief, and that’s a bot. Too long, and the prospect probably got up and made a sandwich. Overall, fraud (or the lack thereof) plays a huge part in performance marketing metrics. 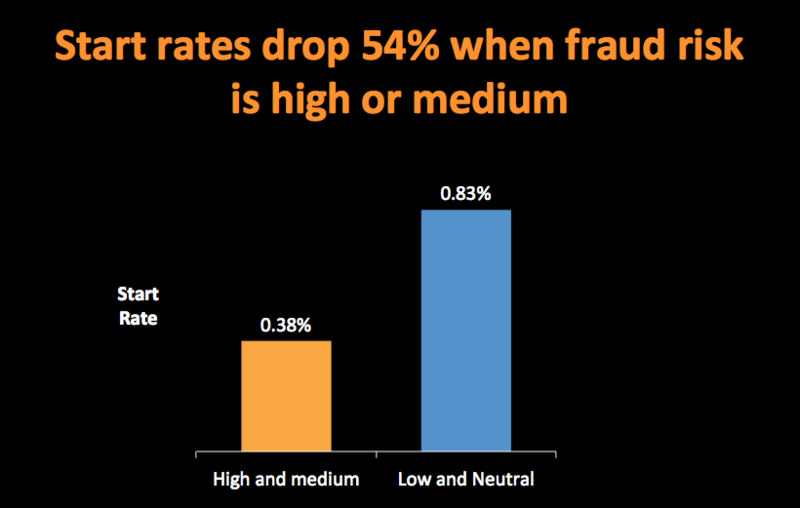 There’s a dramatic difference in conversion when risk of fraud is high. Unlike a few years ago, it’s now possible to measure the impact of fraudulent traffic on sales success. While some may wish to stay in the dark when it comes to fraud in advertising and lead gen, a well lit path is preferable. Sure, change is hard and often requires some investment of resources at the outset. But the payoff is big. Imagine being able to jettison those aspects of your ad campaign that lead to a dead end. That’s big money, back in your pocket, ready to spend on success. The big view that encompasses multiple verticals and marketplaces is marketing gold.